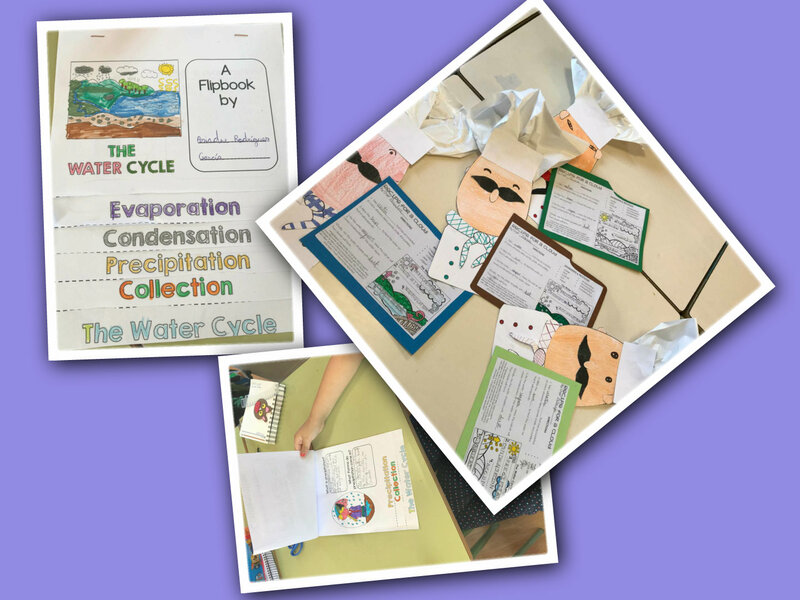 Through the English subject we have learned lots of things about The Water Cycle and even about clouds! We tried to bring the Water Cycle to our classroom and with a Ziploc bag, we drew and labeled the water cycle. We filled it with some water and taped it to the window. The next day some condensation had formed and by the end of the day, there was some precipitation! We also made some activities about the importance of saving water. Furthermore, talking about clouds and precipitation, we became professional chefs and we have elaborated the recipe for a cloud as you can see in the photo. We also made an experiment called “Rain Jar” in which students create an experience that imitates rain falling from a cloud in a jar. It was the best way to explain kids that when water droplets and ice crystals continue to collect in a cloud, they get heavier and heavier. They will eventually become too heavy to float on the air, so water droplets will fall to the earth as rain. 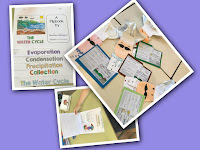 To summarize what they have learned about the water cycle we made “The Water Cycle” Flip Book you see in the image. 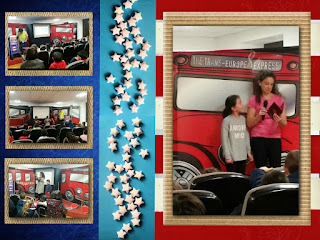 Los alumnos de Primaria disfrutamos de una obra teatral en inglés, en la que todos participamos muy activamente. 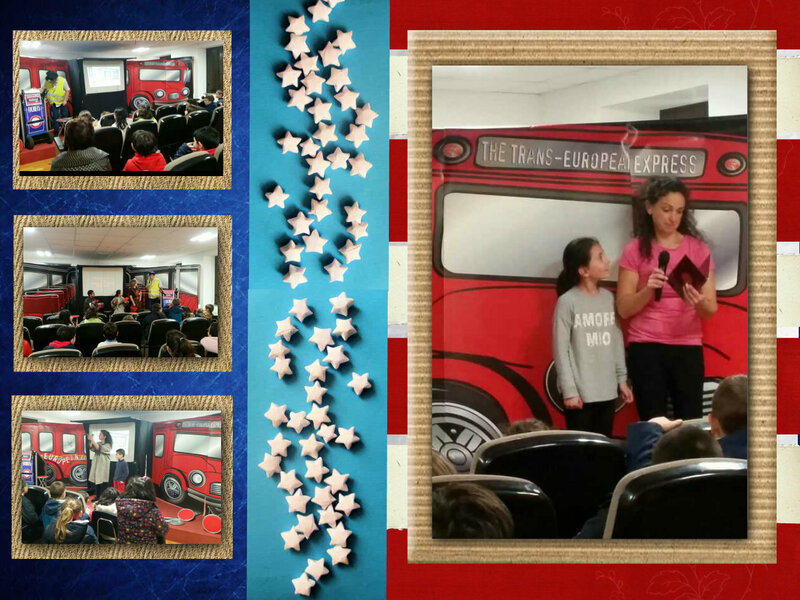 Description: Harry is the driver, manager, director, conductor, mechanic and head of maintenance of "The Trans-European Express", a coach that supposedly works a route around Europe, from north to south and east to west. However, the truth is that it never leaves the station as there are barely any passengers. Today Bob arrives at the station to catch the bus that will take her to Berlin where she hopes to close a deal with a client. However, she has lost her ticket and her economic difficulties won't allow her to pay for another. When the threat of closure of the trans-European service looms over Bob and Harry, they design a plan of mutual benefit to try and save this unique and exciting service: "The Trans-European Express". Will the bus leave? Will other passengers get on? Or will Bob and Harry's dreams burst on the way? This multimedia show is a highly participatory musical comedy in true Moving On style that takes us on a journey through Europe and demands the right for the freedom of movement that is at the heart of the European Union. Estas son algunas imágenes de nuestras primeras sesiones en Laboral Centro de Arte y Creación Industrial. Nuestro Centro ha sido seleccionado, obteniendo la máxima puntuación, junto con otros diez Centros asturianos para iniciar la Fase I del denominado Contrato Programa. Contrato Programa es un proyecto de Innovación Educativa con el objetivo de contribuir al éxito escolar, con una duración de cuatro años. 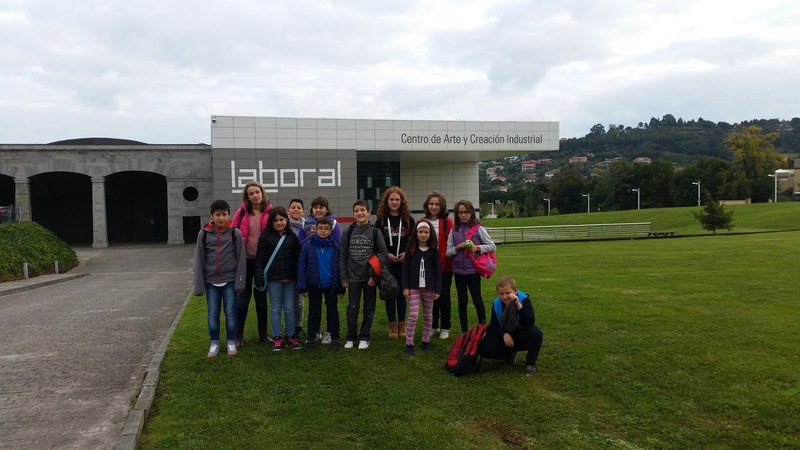 Todos los alumnos/as de educación Infantil y educación Primaria del Centro participan activamente en el Proyecto, siendo durante este curso los alumnos de 4º, 5º y 6º de E.P. los encargados de materializarlo en AULAB Gijón, en la Laboral Centro de Arte y Creación Industrial.